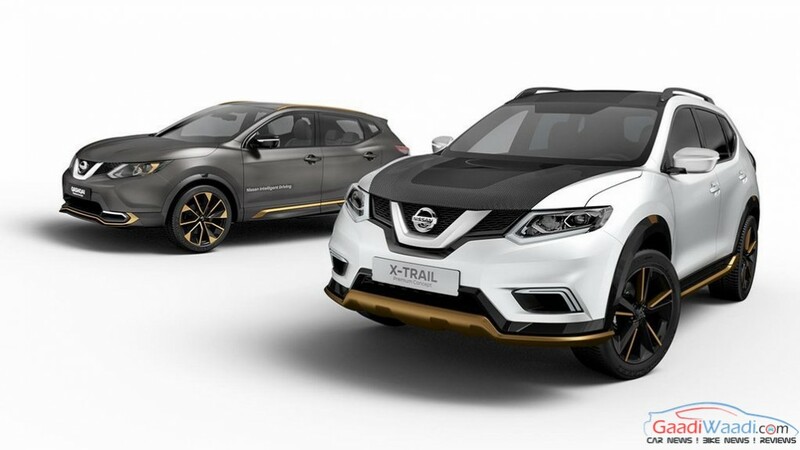 Nissan has taken the wraps off the X-Trail Premium Concept at the 2016 Geneva International Motor Show. Being based on the current-generation X-Trail, the premium concept is being developed at the company’s Global Design Centre in Japan. There is no word regarding the technical modifications in the Nissan X-Trail Premium Concept and it is also still not known that would it ever enter production or not. Talking about the concept, it comes in a matte white as the primary paint scheme. However, the bonnet and roof have been given a contrasting touch by providing deep black matte carbon fibre treatment. The amazing black-and-white contrast, commencing from the ‘V-motion’ front grille and continuing through the bonnet and till the very end of the SUV reflects its rugged and ‘go-anywhere’ approach and character. The Concept rides on 20-inch alloy wheels and boasts of a front skid plate; both of these elements are painted in golden copper color. Nissan X-Trail Premium Concept also carries body cladding and fenders, which are finished in gloss back paint scheme. Inside the cabin, there is a premium leather upholstery with a natural tan and black colour, while the seats are done in premium leather as well. The headrest and seat sides, done in the tan colored leather, flaunt a ‘cloud effect’ design. The middle section at the back of the seat features gold pearl leather piping, while the dashboard and door trims are finished in black carbon fibre and matt chrome black. 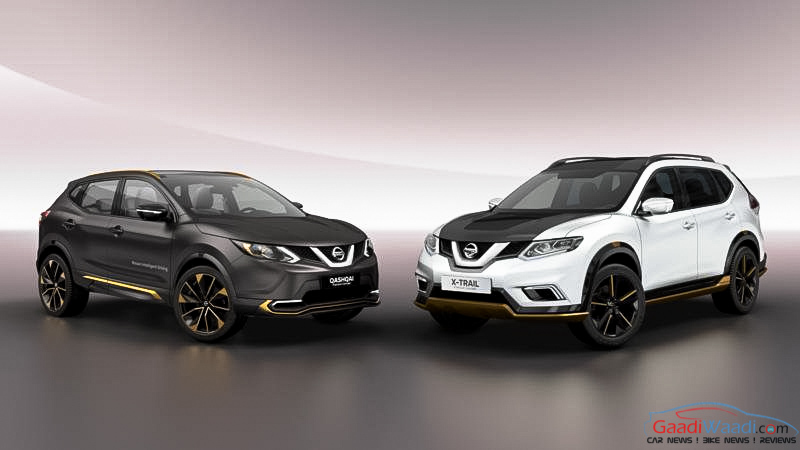 Besides the Nissan X-Trail Premium Concept, the Japanese automaker has also showcased the Qashqai Premium Concept, IDS (Intelligent Driving System) Concept, and Self-Driving Qashqai. The company has also unveiled a special electric vehicle technology.